Color makes me happy. And Jonathan Adler makes me very happy. 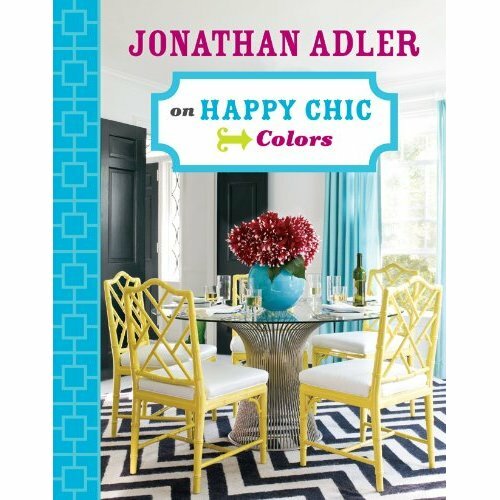 In his book, Happy Chic Colors, Adler dedicates each chapter to a different color, including easy how-to tips to help anyone decorate in style. There are pages in the book to write your notes and observations, too! The hardback book is so pretty, I find myself reaching for it again and again to see all of the gorgeous pictures for inspiration. It was not a surprise to read that Lilly Pulitzer is one of his muses, along with other well known fashion icons like Diana Vreeland. Add a happy dose of color to your life with this fun book. Next on my list...Happy Chic Accessorizing. Here's a tip...amazon.com has these at a great price. The books make a fantastic hostess gift!